For more information on Service Dogs or Estate Training please contact us. If your planning to buy either a puppy, a trained adult dog, put your dog into training, or boarding your dog here at our facility, Estate Dogs, is your answer! Arriving in style! 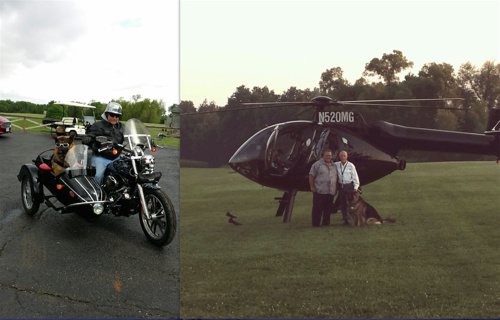 By land or air, you just never know how Estate Dogs' clients will get here! Bill Price is the only US breeder who ships BACK to Germany. 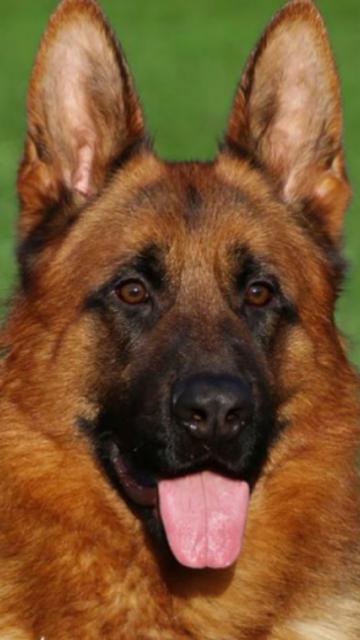 Estate Dogs, Carroll OH, delivers best bred and trained German breeds all over the world. Male and Female Puppies Available! Bill Price- lead trainer of Estate Dogs LLC Carroll, OH- is the only American to have received the coveted Universal Seiger Award in OG Schleswig's clug in Germany. This competition seeks to find the German Shepherd that has the best structure (beauty) and the best working (SchH) combined characteristics. The top German Shepherd, the overall best in the combined event is the Universal Sieger. Bill Price's Estate Dogs offers the very best in German Shepherds, Dobermans, Rottweillers, Puppies, Personal Protection Dogs, Obedient Family Dogs and Sport dogs in the Lancaster Ohio Area. We treat our dogs with love and respect, raising them on this expansive property. 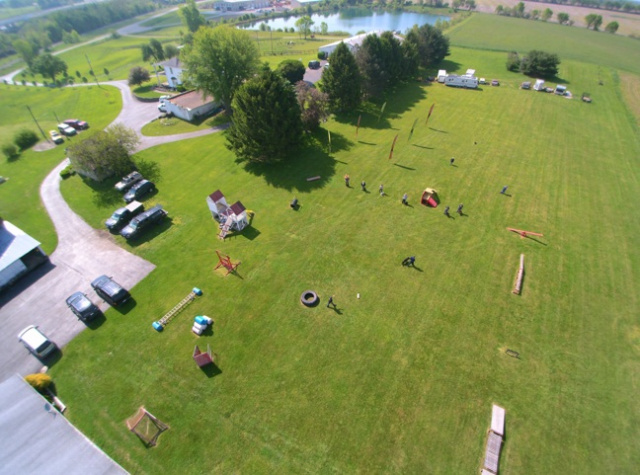 Our facilities can accommodate all types of dog training including Schutzhund, Service Dogs, Police, Search & Rescue and AKC. Specializing in all tracking fields; where your dog won't think of you as master but a buddy to him. Come visit our 28 kennels, featuring spacious indoor/outdoor 5x7 runs. Call for daily, weekly, and monthly rates. For more details on our boarding facility and exercise options please visit our boarding page.